Following Microsoft's failed acquisition of the hardware division, Nokia decided to return to the mobile device market in a big way, offering two new models in 2017 that embrace current interests among smartphone enthusiasts. The announcement of an agreement between HMD Global and FIH Mobile, the latter belonging to the glorious Foxconn Corporation, came to light six months ago, and was the prelude to what we now take for granted: the manufacture of new Nokia devices and the distribution of which will be entrusted to third parties or to HMD Global in the next ten years. Both smartphones will be based on Android with technical specifications of good level, in appearance. In fact, after so many rumors, today we have obtained confirmation of the start of activities: from now on HMD Global will be the new home of branded Nokia phones, which is neither a shareholder nor HMD Global investor, but will receive royalties for each device, cell phone or tablet sold under its own brand, as it continues to maintain intellectual property. Despite the fact that Microsoft has permanently tarnished the image of the historic Finnish manufacturer, the appeal of the brand remains strong among consumers, at least according to the statements of Brad Rodrigues, interim president of Nokia Technologies, and it is from this certainty that the company wants to recover the part of the cake lost in recent years. Despite the fact that HMD is still mainly engaged in the markets of emerging countries, the fact of a ten-year partnership with Nokia Corporation says much about the intention of the parties, at least as far as products with Android operating system on phones and tablets. According to rumors surfaced in the network in recent days, Nokia smartphones will have three principles dictated by the company, namely: simplicity, reliability and quality. Features that are part of a slogan that you think of for everyone. 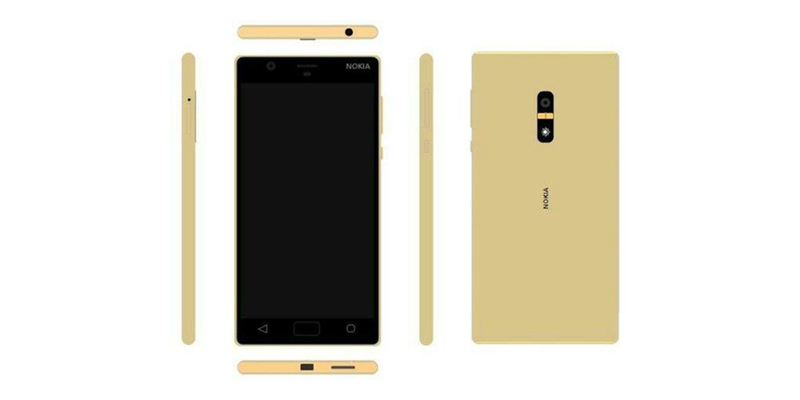 One of the first devices we will see in 2017 is the Nokia D1C that will incorporate different hardware for two models. We will soon know the result of this wait.